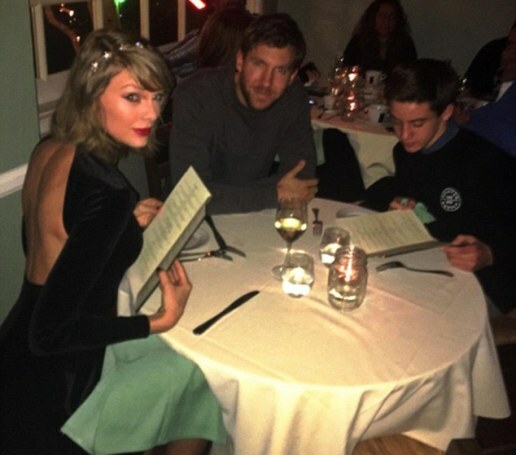 While Taylor swift was on a romantic dinner date with her Scottish DJ boyfriend, Calvin Harris on Tuesday night, a young fan interrupted their dinner and asked to take a photo with the couple...and then he did something quite creative.. the photo has since gone viral! The young fan named Ricky Selby picked up a food menu and pretended he was out with them, having dinner as he perused the menu. He shared the photo on instagram, writing "Awesome dinner with mom and dad' along with a knife and fork emoji."